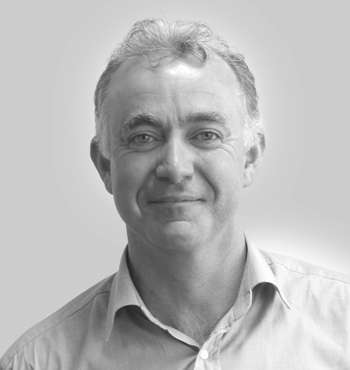 John has 20 years manufacturing experience with a number of Blue Chip multinational corporations. He has held senior management and director level responsibility for Lean Six Sigma implementation across multiple sites within mainland Europe & Nordics. His practical experience covers chemical processing, electronics, medical device, pharmaceutical and bio-pharmaceutical and service environments. John was responsible for the Lean design of a number of start-up pharmaceutical and medical device facilities and was an early advocate of Lean and Green Thinking. John is passionate about the possibilities offered for business growth through the effective application of Lean thinking. John effectively transfers this passion through coaching and training workshops to client project teams ensuring effective engagement and the achievement of rapid results. An effective problem solver, John’s wide range of process experience and strong analytical skills allow him to guide project teams through effective process analysis and subsequent identification, verification and resolution of root cause issues. Send any queries you have to John via the form below, and he will get back to you.